'Alligator Shoes' shows its montana parents in the graceful, arching clump formation. 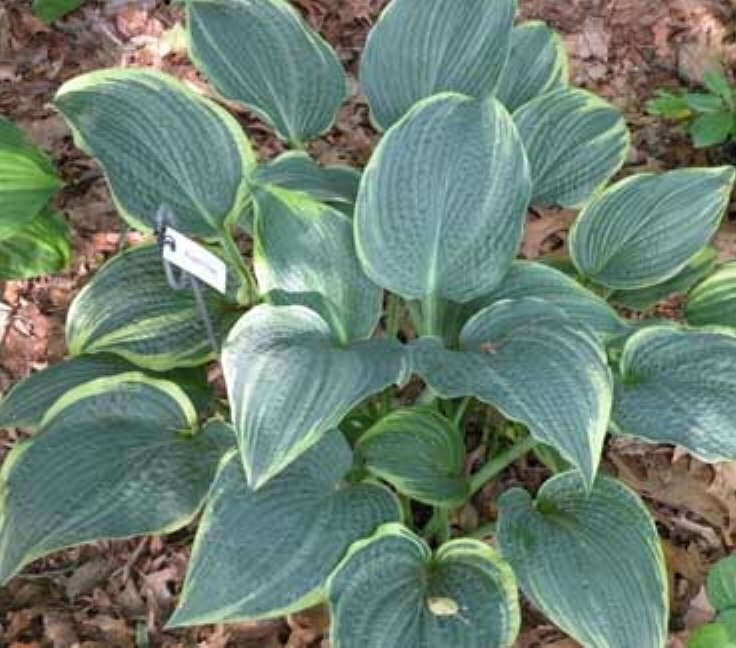 The leaves are frosty blue-green, wedge shaped and display a twist at the tip of each leaf. The narrow white edge accentuates the rough crinkly texture that is displayed on the mature leaves.